As we begin the 2019 school year, help me to know the next step for me to take. and exciting opportunities this new school year brings. Greetings: Welcome to the 2019 school year. Seeing the smiling faces of families getting into the swing of school this week has been fabulous. 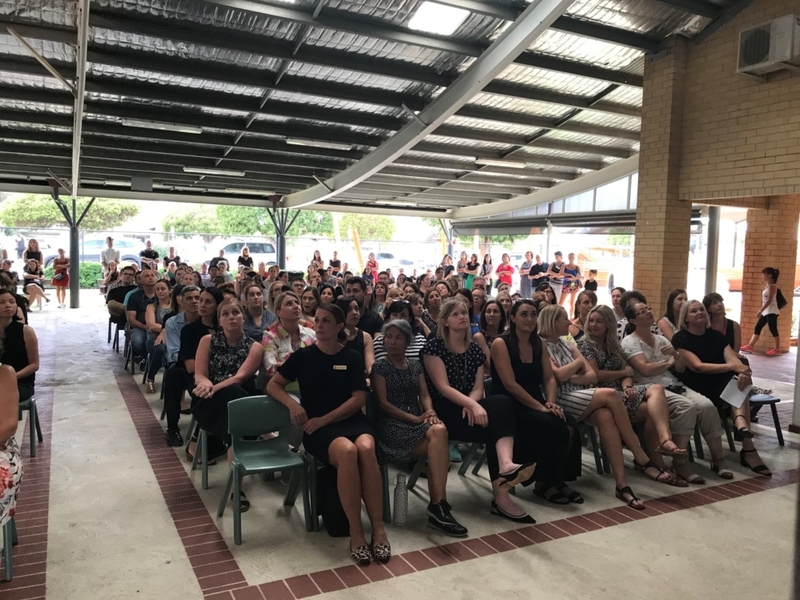 We are delighted to welcome our new families and are very happy that you have joined our community. I thank all families in advance for supporting the school uniform policy. You can refer to this on our school website. Our core values of Respect and Excellence will be reflected in the way our students present themselves for learning. This important life skill requires both the home and school working together. Our classrooms look amazing and ready for learning. I thank our teachers and support staff for investing a lot of time in getting them to look welcoming and be truly functional. I also congratulate families on being organised and ready for action on our first day of the academic year. Parenting: The beginning of each school year brings with it change and challenges. As the mum of two teenage girls, I have certainly experienced a few of my own lately! Maggie Dent is a favourite of mine when it comes to putting a real-life perspective on parenting. Recently, Maggie Dent was sharing her findings on a research paper she read. The research paper showed the best way to ensure your children turned out to be responsible and well balanced was to make them do chores. The longitudinal study found that the children who did chores were well adjusted and positive adults than children who didn’t. Not such good news for the children but music to the ears of parents! Maggie suggests being always nice and too kind to our children can help them become emotionally dependent. So, to avoid spreading concrete on the Weetbix, consider toughening your children up by making them wait, getting things for themselves, doing chores, using their manners, spending time without an electronic device within reach and to persist when things don’t work the first time. They will benefit in the long term and people will find them much easier to love. 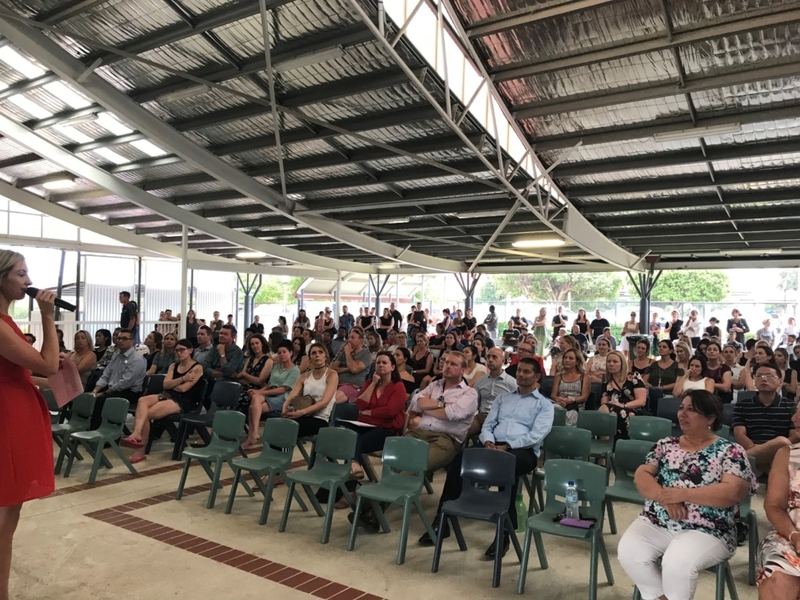 Parent Information Night: Thank you to our families who came to the school when thunder, lightening and rain greeted them upon their arrival. Your participation in your child’s education is an essential component to their success. 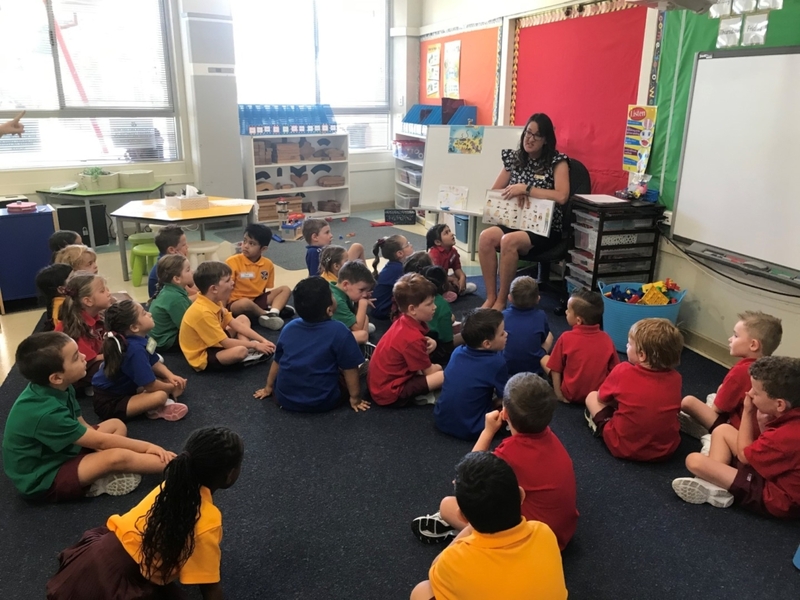 The Australian Department of Education and Training states, “Parents and families play an important role in supporting their child’s education. Research has shown that when schools and families work together; children do better, stay in school longer, are more engaged with their school work, go to school more regularly, behave better, and have better social skills.” Thank you for your attendance and working with us. 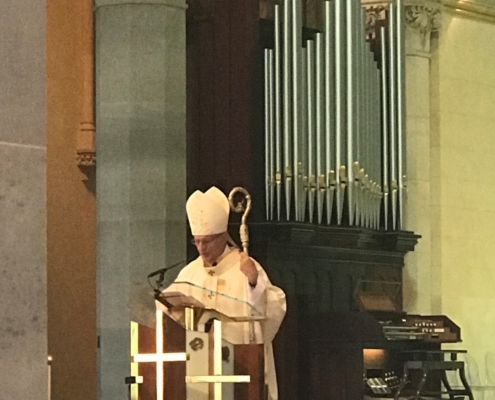 St Peter’s community continue to sustain each other throughout 2019 to serve our students with faith and with TRUE. 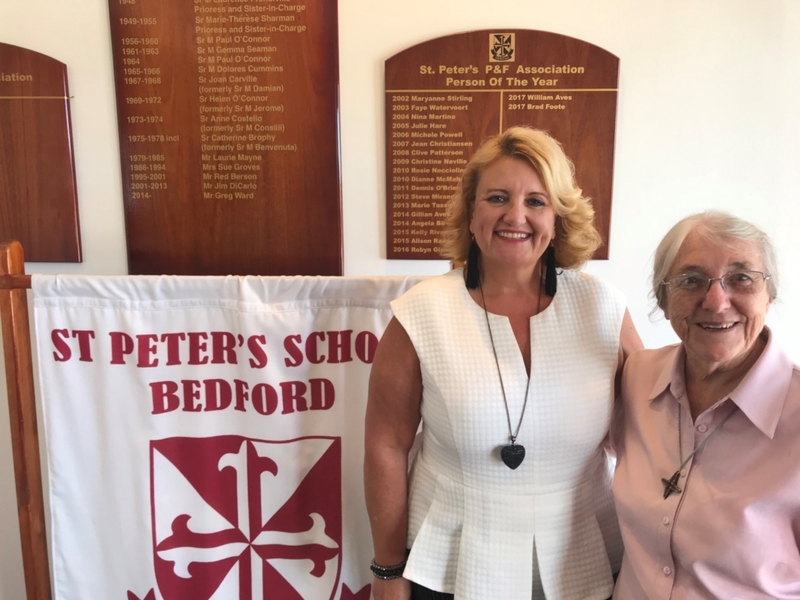 Sister Margaret: This week I met with Sr Margaret who is a member of the Parish of St Peter’s Plenary Council Committee. 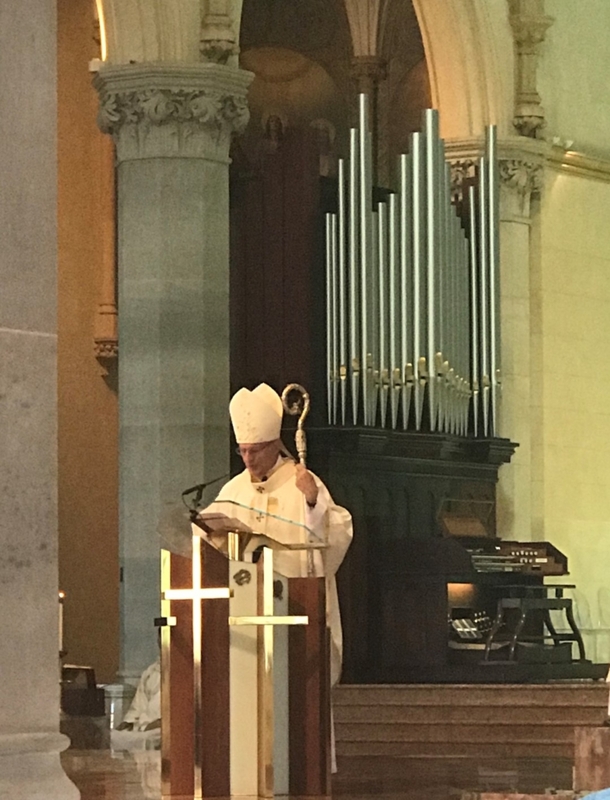 She encourages members of our school community to find their voice in contributing to the development of our Catholic Church in today’s society. A survey has gone home to all families and I encourage you to take the time to provide your feedback. All comments are welcome. Our school leaders will also participate in this feedback forum upon their return from camp. Year 6 Camp: Next week, I will be joining the Year 6 class and teachers on camp at Forest Edge. I will be there for the week with Mr Paul Brennan. Please address concerns to Miss Courtney Dunsire in my absence. 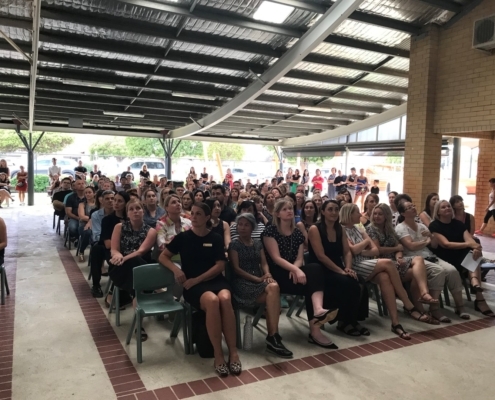 Communication Moving Forward: Newsletters will be sent out fortnightly, to ensure that parents are not overloaded with information but will instead enjoy a fortnightly snapshot of the achievements and community spirit within St Peter’s. 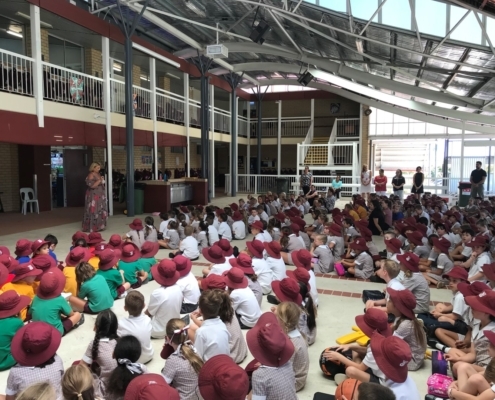 Please note that Merit Certificates and POWs will still take place weekly at our Friday morning assembly. Please be advised that St Peter’s has a new phone number. If you wish to call the office, please call 08 9338 9900. Our fax number is 08 9338 9960. 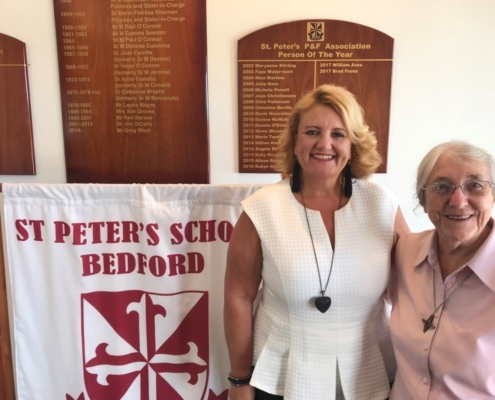 Please click St Peter’s School 2019 Fee Schedule to access the St Peter’s school fee schedule for 2019. If you have a healthcare card, please make sure we have a copy of your current healthcare card and a healthcare card form has been filled out and given to the office. For healthcare card holders, please email me directly for a copy of the healthcare card school fees schedule for 2019. If you have any questions or queries, please do not hesitate to call me on 9338 9900 or alternatively email me on kelly.brown@cewa.edu.au. Please be advised that there has been a confirmed case of Headlice in the Year 2. 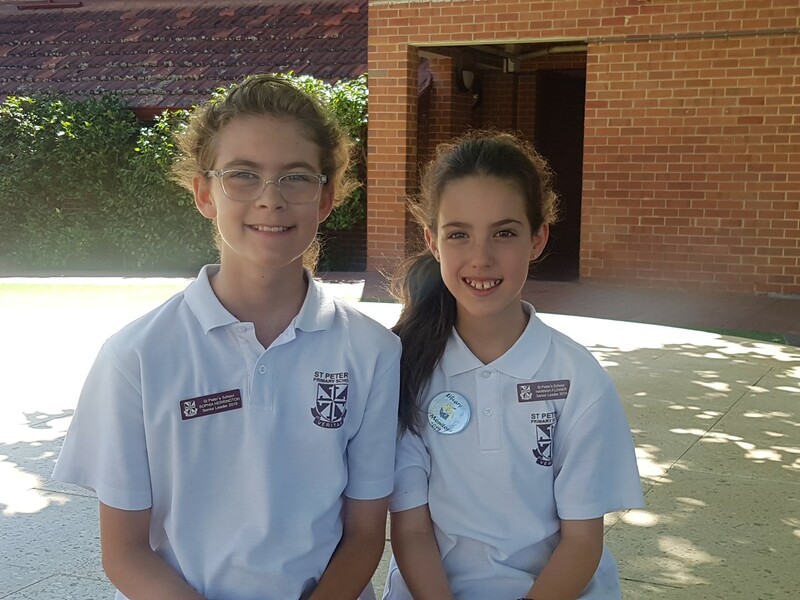 Congratulations to our Term 1 2019 Senior Leaders from 6B! Please click the link to see what refreshing and cooling items the Canteen is offering!!! You will have received a questionnaire from St Peter the Apostle Parish Plenary Council Committee. 3. what changes would they like to see made at St Peter’s to better suit their children’s educational needs. The survey questionnaire responses will be anonymous (please add more sheets if needed for questions requiring written responses). We ask that both parents complete the questionnaire to increase the validity of the results. Please return the completed survey to the front office by Monday, 18 February. To access the survey, please click Parish Plenary Council Parent Questionnaire. Many thanks for your co-operation and input into this Survey Questionnaire. Welcome back to 2019 School Banking! We have made a few changes to School Banking this year to make it run as efficiently as possible. 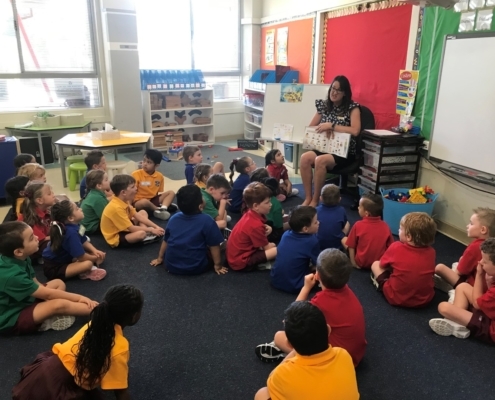 We also have an urgent need for more volunteers, so if anyone wants to volunteer (ongoing or casually), please send a text to the new School Banking Coordinator – Joanne Oksanen on her mobile 0423 766882. Also, if your child is not part of the School Banking program and would like to join in, please follow the below instructions to set up a youth saver account with the Commonwealth Bank! Getting involved in School Banking is easy!! Online – visit commbank.com.au/schoolbanking and click on the link to open a Youthsaver account. In a Branch – visit a Commonwealth Bank branch with identification for yourself and your child, like a driver’s licence and birth certificate. If your child has an existing Commonwealth Bank Youthsaver account, they can start banking straight away. They just need to bring their deposit in every Wednesday on School Banking Day using their Dollarmites deposit wallet. Laila Gizzarelli and Genelle Ruehland. We look forward to welcoming new and returning players to a fantastic year of netball! 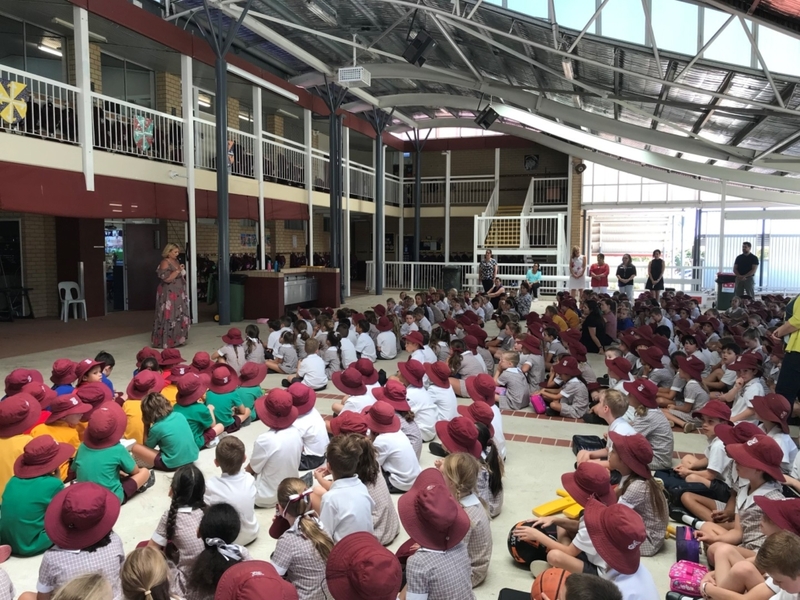 Chisholm Catholic College will be holding their Open Day on Thursday 28 February 2019. 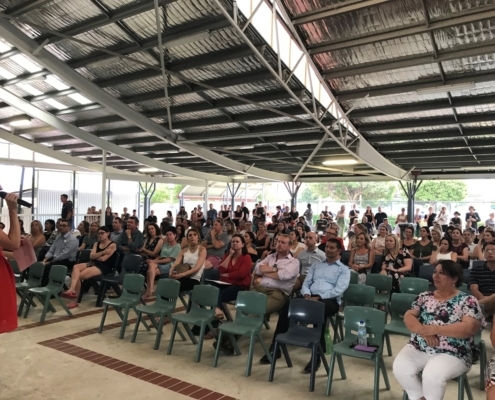 Please click Chisholm Open Day Information for Open Day, Scholarship and Enrolment Information. invites you to the Jambo Africa Festival on Saturday 16 February at 2pm at Stirling Civic Garden. Free Entry.